Question: Are you willing to repent? There it is. Right between the eyes. Sounds so simple, so fundamental, so basic. Answer: Of course. That’s the right answer, right? What genuine believer of Jesus Christ would say no? I don’t want the “right” answer from your head. I want the answer you know is deep in your heart. 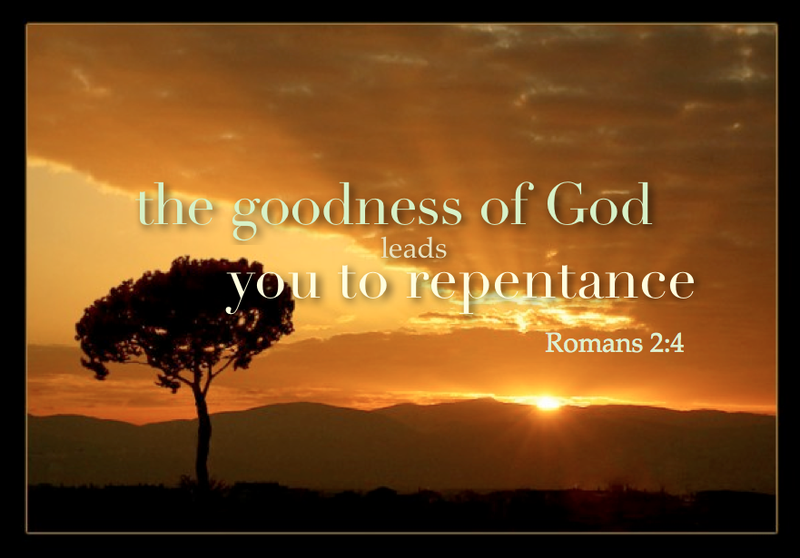 Feeling bad about our sin is not the same as repentance. Feeling bad doesn’t result in change. Feeling bad without appropriate change of behavior, attitude, and action is simply feeling bad and, according to 2 Corinthians 7:10, leads to death. According to this definition – feeling sorry for something bad or wrong you did and that you want to do what is right is sufficient to qualify as repentance. I don’t want to nitpick but feeling and wanting are not the same as actually repenting – changing, making new choices, saying no to temptation, resisting, fighting, turning away from sin and turning towards God. Sometimes we feel bad about our sin because we know it is wrong and yet we continue in it because we’re not quite ready to give it up yet. Any of this sound familiar? Easton’s Bible Dictionary expresses the distinction between feeling bad and true repentance. I ask again. Are you willing to repent? Repentance is much more than a change in our behavior – although it includes that – it is a change of heart that results in a determined fleeing from sin and a passionate, intentional, determined, unwavering pursuit towards God. Will we do it perfectly? No. Will we fail at times? Yes. Do we give up in despair? No. No. We get up, confess our sin, ask for and receive God’s forgiveness, remind our self of the Gospel of Jesus Christ, the cross, the Blood, His love, His grace, His mercy, His forgiveness and move forward. I have heard it said, “For every one look at our sin, take ten looks at Jesus and the cross.” A good practice to develop. I was preaching to myself today and thought I’d let you listen in.